There’s not much Karen Dudley doesn’t know about flavour. 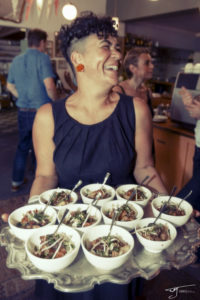 Aside from her decades of experience as a celebrated caterer, chef and cookbook author, it’s for her role as the brains – no, the heart – behind beloved Cape Town restaurant The Kitchen that Karen is perhaps most famous. 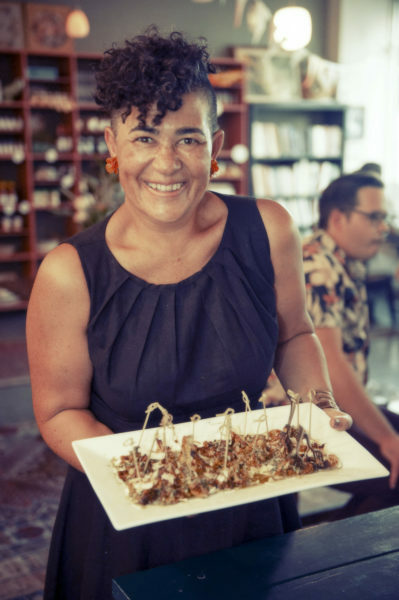 With her bold flavours, colourful plates and distinct style, her much-loved Woodstock eatery was the perfect location to launch Banhoek Chilli Oil on 6 February 2019. Except for one thing: Karen wasn’t too hot on chillies. Until now, that is. “I’ve never been a big fan of chillies because too much chilli can cloak the flavours of a plate. I feel the same way about balsamic vinegar; once it’s in the picture, all subtlety, all the nuance is gone,” she explains. 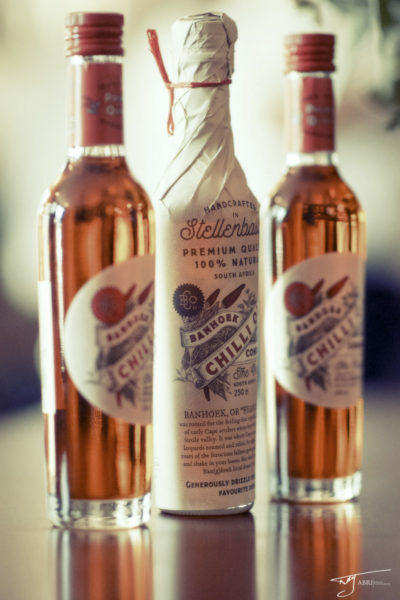 But subtlety is at the heart of Banhoek Chilli Oil, handcrafted in the Stellenbosch Winelands from premium local canola oil and bird’s eye chillies grown and dried in the Swartland. Karen is famous for the creative salad spread offered daily at The Kitchen, where generous flavours and the ingenious use of ingredients have made this bustling eatery a must-visit for local foodies as well as celebrities such as Michelle Obama. “With all my dishes, I look for big, bold flavours, so that when you’re doing a broccoli dish, the broccoli stands out. We want those wonderful vegetable flavours to really speak to you, and chilli has traditionally been an awkward friend. But then came Banhoek Chilli Oil!” enthuses Karen. 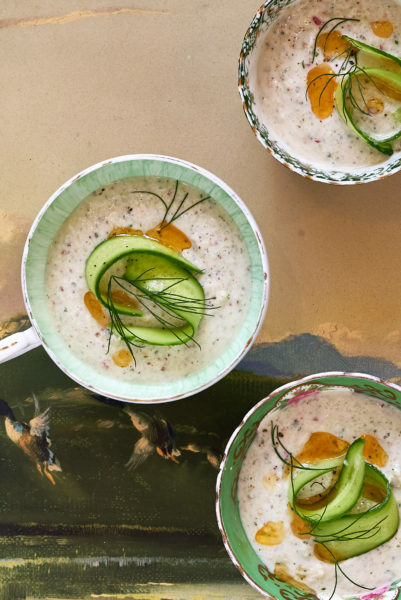 “At The Kitchen, we’ve been using it on our Turkish breakfast of labneh and poached eggs, and the drizzle of Banhoek Chilli Oil adds a wonderful new excitement to the dish.” She has also used the subtle heat and delicate chilli notes to lift a cucumber and yoghurt salad, with the addition of fresh chilli for a double layer of flavour. At home, brush it over steaks before they hit the braai grid, add a splash to scrambled eggs for Middle Eastern flair, or stir in a dash to lift tomato-based pastas. 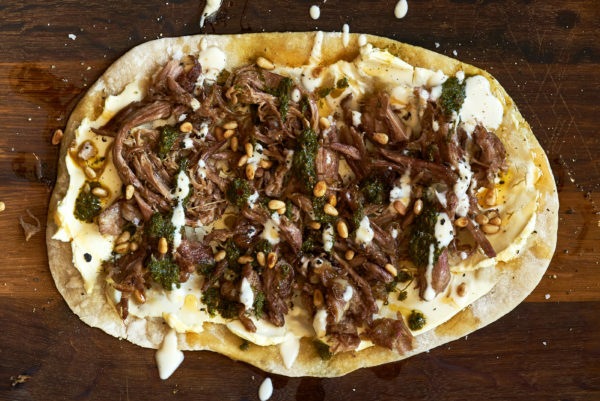 Or as Ken Kinsey-Quick, the founder of Banhoek Chilli Oil, prefers, drizzle it over your favourite wood-fired pizza. 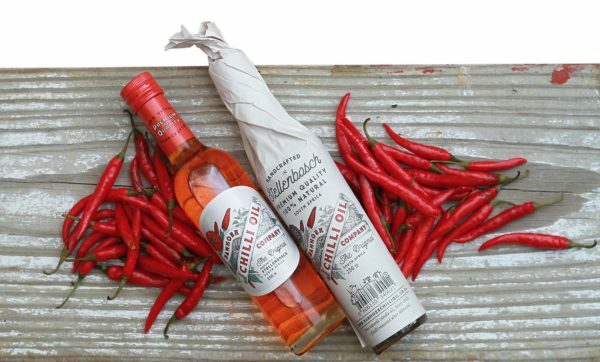 However you use it, Banhoek Chilli Oil is a must for the pantry this summer. To find an outlet or to order online, visit https://banhoekchillioil.co.za. julienned cucumber, rose petals (optional), dill fronds, small handful of walnuts (roughly chopped) and finally add a few drops of Banhoek Chilli Oil and some freshly ground black pepper to taste. Whizz all the ingredients together in a blender or processor. You may need to blitz the ingredients in stages so as not to overwhelm your machine. Because the flavours are delicate you need to taste and adjust the seasoning very carefully; more salt or black pepper or a drop more balsamic (do not even think of adding regular balsamic to this soup, lest you want to ruin its fine colour and flavour! Simply leave it out altogether and the soup will still be delicious!). Finish off the soup with the suggested serving ingredients. Blitz all the main ingredients together, without the cauliflower, in a food processor to make spiced oil. Prepare the Coconut Coriander Relish by combining all the ingredients. Place the cauliflower steaks onto a baking paper-lined baking tray, taking care to keep them together. Brush generously with the spiced oil and roast in the oven at 200°C for 15–20 minutes. You may need to turn the “steak” over to give it colour on the other side too. 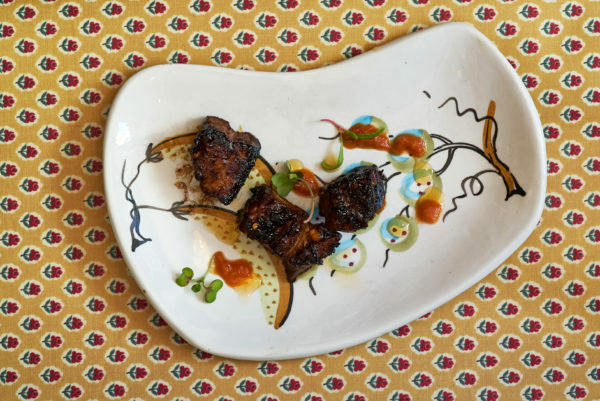 To serve, spread some tamarind raita* on a warmed serving platter and lay the steaks onto it. 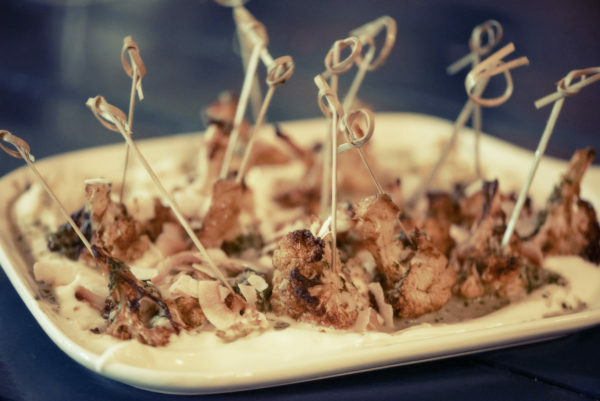 Spread big dollops of the Coconut Coriander Relish over the cauliflower. *To make the tamarind raita toast ½ a teaspoon of cumin seeds and ½ a teaspoon of mustard seeds in a pan in 1 teaspoon of vegetable oil or ghee. Add 2 pinches of asafoetida (optional). Stir together 3 tablespoons of tamarind sauce or tamarind chutney, 3 tablespoons of palm sugar, 2 tablespoons of finely diced red onion, 2 tablespoons of chopped coriander, 1 teaspoon of chilli powder, 1 teaspoon of ground cumin and the toasted seeds into 1 cup of full-cream yoghurt.